Like most states that require Continuing Legal Education ("CLE") as a requirement for maintaining a license to practice law, Illinois accredits CLE programs that are "interactive." The Illinois authorities have accredited a variety of Mandatory Continuing Legal Education ("MCLE") programs that involve movies, excerpts of novels and plays to crystallize legal and ethical issues. To satisfy the interactivity requirement, Giving Ground has been structured into four 20-minute acts, separated by intermissions during which moderated discussion will occur focused on legal issues raised by the preceding act. The play was written to raise at least 30 ethical and substantive legal issues. Written materials will be available in advance, containing primary legal authority pertinent to the discussions. 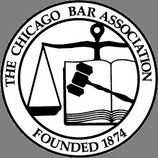 The Chicago Bar Association will grant 4 hours of Illinois MCLE credit, including 2 hours of professional responsibility credit to any lawyer attending Giving Ground and participating the related discussion.